A campaign is underway to stop Manchester City Council from pulling the plug on free advice services that help tens of thousands of people each year. Last week a former head of the service gave a damning assessment of the Council’s proposal, while campaigners believe that lead officers and senior councillors are targeting Manchester Advice for creating “welfare dependency”. Over 1,400 signatures have so far been collected to oppose the closure of the council-run Manchester Advice (MA) service which provides free advice and representation in a range of areas from housing and benefits to employment and training. “We have been out at Harpurhey ASDA, Gorton Market and in Wythenshawe Shopping Centre this week trying to get people to sign postcards informing their local councillors of the impact that closure will have,” said Miriam, who has been helping run the campaign. Through helping people claim entitlements to benefits, resolve debt and employment problems the service helped to maximise the income of Manchester residents by £27m last year. 804 families avoided repossessions with its help, saving the council £4.6m in temporary accommodation and rehousing costs. Despite its performance it has been targeted in order to save a mere £1.68m as part of a drive to slash the overall council budget by around a quarter – a move which will also mean a likely end to an additional £1.9m in funding it secures from external sources. However her words such fell on deaf ears as the Labour-dominated committee rejected an amendment to the budget proposal by Lib Dem councillors which would have retained part of the service under a reduced budget of £600,000. 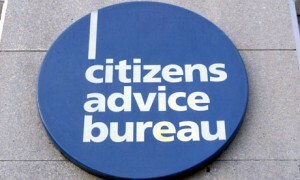 The council have responded by saying that the closure comes “in recognition of the availability of new city-wide legal advice provision,” referring to the Community Legal Advice Service (CLAS), provided across six centres run by the Citizen’s Advice Bureau (CAB). Yet campaigners argue that this is misleading at best and disingenuous at worst, as the council’s commitment to CLAS was prior and designed as complimentary to MA – not to replace it. Furthermore they argue that CLAS was not designed to absorb all of the casework of MA as it has far less capacity – a problem which will only be compounded by government proposals to slash legal aid funding. This failure to understand the nature of the services seeps down to senior management level, acording to one Advice worker who wished to remain unnamed: “When our director of services came to tell that us that the service was being axed she didn’t seem to have realised the compounded effect. Yet voices within the sector also believe that the pressure is coming to scrap the service from the top of the Council hierarchy – where it is understood that MA is not viewed in such rosy light. While the signs for survival are not optimistic for Manchester Advice, campaigners are resilient in their battle to retain vital advice services in the city. “The decision to close Levenshulme Baths was reversed this week so you never know what could happen,” said Miriam. On Wednesday 9 March Access2Advice and other campaigners will hold a lobby outside the Town Hall where the full Council meeting will decide on the budget for the next financial year is to be decided. People are meeting from 8am onwards. I personally benefited from Manchester Advice when I went for help filling in housing benefit forms for a renewal application. When the advice worker asked me what my income was, and I explained what benefits I was receiving, they said: “That’s not right.” And worked out that I wasn’t receiving an Income Support disability premium I should have been getting – I had explained all my circumstances to the Job Centre, in good faith, and expected to be told what I was entitled to receive. It turns out that was rather silly of me. I later found out that Job Centres are under no legal obligation to tell you about your full entitlements, only to process claims that you make. If you don’t apply for a benefit because you don’t know you’re entitled to it, the Job Centre won’t tell you. I had been underpaid for a year, and when I asked for it to be backdated the Job Centre refused, saying it was my fault for not applying for a benefit that they had failed to tell me I was entitled to. But luckily, after seeing Manchester Advice workers and being told about my legal entitlement and submitting a claim, I received it from that point onwards (even though it wasn’t backdated). It meant getting an extra £500 or so a year, but also, because I was receiving Income Support, that was the qualifying benefit for full council tax benefit, plus free prescriptions and so on, which I hadn’t been receiving. The total difference was well in excess of £1,000 per year, in terms of extra money received, plus extra help with council tax and free prescriptions, which is a lot when you’re living on benefits. If it wasn’t for Manchester Advice I would never have known I was entitled to a disability premium and wouldn’t have qualified for the other things. I now always recommend that people get independence advice from Manchester Advice or a CAB or law centre or other welfare rights advisor about their benefits entitlements, because you can’t expect the Job Centre staff to disclose information to you – even if you have been totally honest about your circumstances – about your legal entitlements, because it’s not their job to do that. I heard Barbara Guest speak at the Scrutiny Committee last Monday. She explained so clearly the essential work done by Manchester Advice. Her request for ‘member led review’ was reasonable but fell on deaf ears. We will need to speak a lot louder at the lobbies to come. 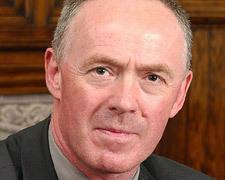 Richard Leese is still blind to the fact that millions of tax-payers money has been given to property developers for so-called regeneration schemes. For the promised employment opportunities to never materialise. 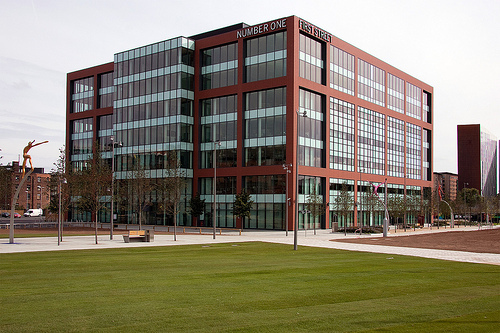 Manchester still has some of the highest unemployment and deprivation in the UK. It is he who is totally out of touch with reality. This situation will only change if people go to the ballot boxes and vote this contemptuous Labour council out of office. “The welfare capital of the world”…. Pitiful. The vulnerable and the weak get it in the neck the governemtn like to keep the weak and vulnberable that way in order to control but theywill stand and fight! aaah our great leader speaks absolute tosh again and has those blinkers firmly welded to his face. These resources assist people to know their rights and assistant them in helping themselves so to get rid of them would be detrimental and to refer to Lees quote keeping these services would do the opposite. Why is Manchester City Council spending about £1 million on employing art workers, graphic designers, account managers and PR staff etc? A large number of these staff do not live in Manchester yet enjoy receiving Manchester City Council’s Tax Payers Money . Why is Manchester City Council spending a lot of money on public notices in the Manchester Evening News? The Manchester Evening News is based in Oldham, so why are Manchester residents paying for this service which is based outside Manchester? The above two examples indicates that non Manchester residents and non Manchester businesses enjoy receiving Manchester City Council funds, whilst Manchester residents who pay council tax can’t enjoy local services. I am a paid employer for the CAB and we offer a similar service, ironically we are now facing redundancy and have been given notice, as the Legal aid cuts coming into force in March mean that we cannot get funding through legal aid to fight benefit appeals, particularly disability appeals, and other advice streams will suffer. I suspect that this next year will see the specialist free advice centres like ours close up and down the country. Leaving a big gap that wont be filled by this government. They want to take away with one hand, then stop those who fight for these peoples rights with the other!